High-pressure water may be implemented in order to clean commercial surfaces that have been polluted by dirt and other stains. Contrary to what others may think, the use of high-pressure washer actually consumes less water in cleaning stubborn dirt. Safe bleaches and chemicals are also being used together with water. However, if we are taking about commercial facilities, it is quite difficult to perform this high-pressure water cleaning. This is where professional help comes in. With the help of the experts at http://commercialpressurecleaningdaytona.com, you can be assured that driveways, fences, tiles, decks, pathways, windows, and even furniture in your commercial facility will be cleaned. Professional high-pressure cleaning service is available for commercial facilities. If you are in need of one, consider what the experts at http://commercialpressurecleaningdaytona.com can provide you. For one, this provider can provide your facility pressure cleaning services at least two times a year in order to make sure that everything is according to the safety and cleanliness standards required of you. Aside from just cleaning, you can also be assured that all equipment inside the facility will also be taken care of during the entire process. After the services, you can see that everything is sparkling clean and that it will just look as good as new. The services can prove to be useful in areas such as roofs, pathways and driveways, fences, and even screen enclosures. There are different packages that you can choose from, depending on your facilities’ needs. 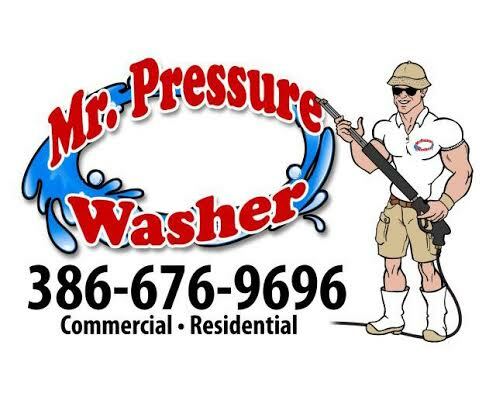 You are assured that the professionals at www.commercialpressurecleaningdaytona.com only use safe treatments and chemicals to ensure not just the beauty of your commercial facility, but also the safety of the people within. Who can avail of the commercial services offered by http://commercialpressurecleaningdaytona.com? Facilities such as hospitals, restaurants, industrial parks, parking garages, gas stations, and other facilities that need high-quality pressure cleaning can avail of the services offered. All, you need to do, is to contact us through our website, and our representative will help you out in discussing the things that need to be done. Among the things that you can also expect includes assistance in determining the right services for you. We also understand that you might be working under a budget, and so we can help you with that as well. By booking an appointment with us, we can offer you free consultation and even check the place that need cleaning so that when we finally got there, we have everything that we need. If you are searching for high-pressure cleaning services, visit http://commercialpressurecleaningdaytona.com and learn more about your options. We offer reliable and cheap solutions for your business.